“To Kill a Mockingbird” currently has an advance of more than $22 million, producer Scott Rudin announced Monday. 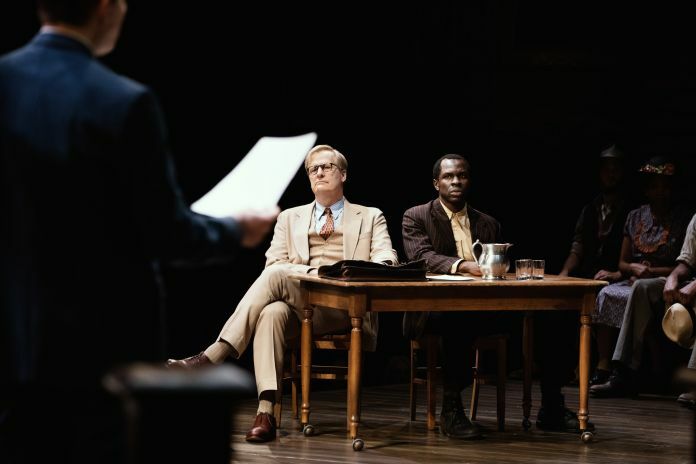 The Aaron Sorkin play has been playing the Shubert Theatre since Nov. 1, 2018 and has yet to have an empty seat in the 1,460-seat theater, according to the production, with weekly capacities of 100% or more. Total sales have amounted to $52 million. The play, which opened on Dec. 13, was capitalized for $7.5 million. It grossed $1.7 million in the week-ended March 31, which broke its own box office record. “To Kill a Mockingbird” recently announced a North American tour beginning in August 2020.